Jaimee Gooley, APD, is Community Relations Liaison at Rosewood Centers for Eating Disorders Santa Monica. 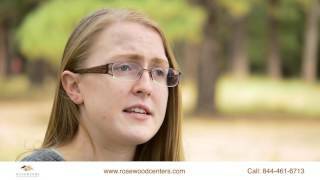 At Rosewood, Jaimee serves as a resource for members of the community and healthcare professionals with questions or concerns about eating disorders. She conducts community outreach and education to raise awareness about eating disorders, and works to expand Rosewood’s connections with the community and referring professionals. Jaimee earned her bachelor’s degree in nutrition and dietetics from Monash University in Melbourne, Australia. She completed an internship in public health at the Heart Foundation and an internship in clinical dietetics at St. Vincent’s Hospital in Melbourne. She is an Accredited Practicing Dietitian (APD) through an accreditation program managed by the Dietitian’s Association of Australia. Since relocating to Los Angeles in 2014, Jaimee has been working in the field of eating disorders and mental health. Previous roles include serving as a nutritionist and outreach coordinator for an outpatient mental health group, where she provided individual dietary counseling, medical nutrition therapy and facilitated group dietary therapy. Jaimee has additional training in working with patients with food allergies, body image and binge eating disorders, and taking a non-diet approach to healthy eating. She is a believer in the importance of early intervention and passionate about mental health and eating disorder advocacy and awareness, particularly within school and college environments. She is dedicated to helping individuals repair their relationship with food and their bodies and about creating freedom and joy around food. She is an advocate for mindful and intuitive eating philosophies and proudly shares Rosewood’s nutrition philosophy of ‘all foods fit.’ She has volunteered conducting weekly cooking classes at a group home in West Hollywood for teens in the foster care system. Jaimee grew up on the beaches of Australia’s Mornington Peninsula and visits as often as possible. She spends her free time at the beach, hiking or traveling California with her husband and their puppy.